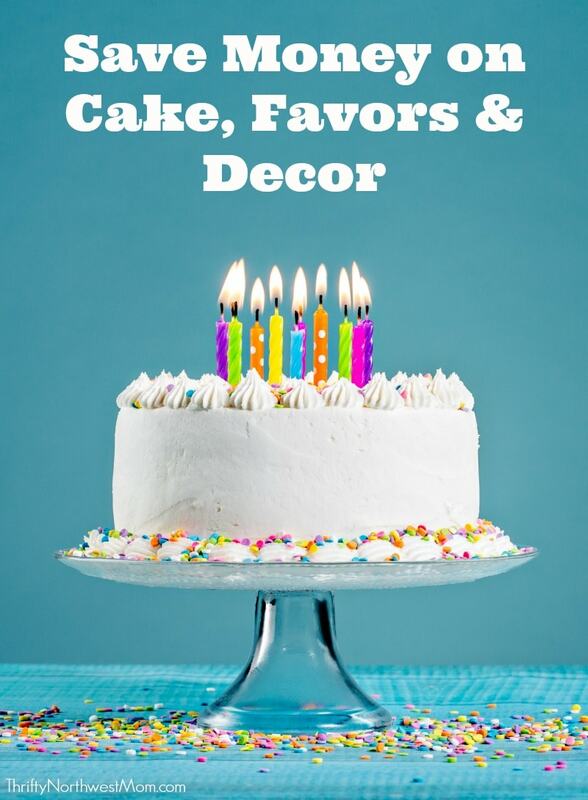 Parties for Less: Do it Yourself Favors, Cakes & more! Let’s start with dressing up simple store bought items. An example is taking a plain paper bag and making it into something cute for your party – very frugal & easy to do. You can use stickers, sew it or cut the top using scalloped scissors. For my son’s Spanish Buzz party, I used plain blue paper bags I had and made a simple rocket shape to glue on. 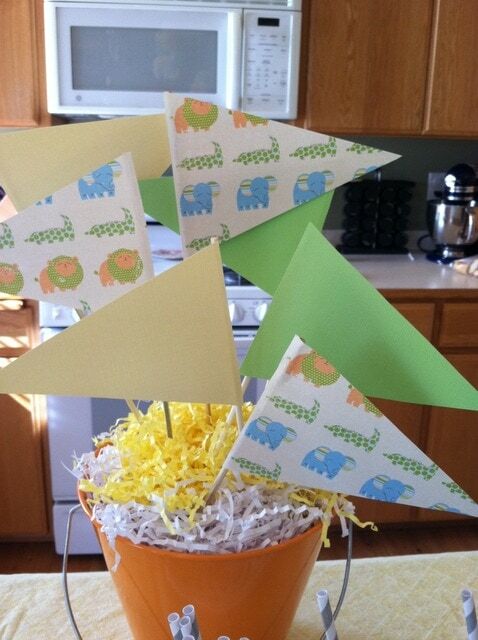 Making your own simple cake toppers with bunting (either fabric or paper squares) and skewers are really easy to make and they are really popular right now. Also, adding little flags to straws adds a little something pizazz and is super easy. Other ways to spruce up store bought items is by adding ribbon, fabric, glitter or a stamp. You can use plain napkins and add a stamp or sticker to have them fit your theme. A while back I made little Easter favors by using peat pots – I glittered the top, added a simple pipe cleaner handle and then decoupaged a vintage clip art chic to them. Super easy and very cheap! This tip is probably my favorite idea! I love making and creating things, so this is a tip that I almost always do. Even if I find what I want I usually just try to make it myself. I know for others that is not as fun – but I will tell you it is usually quite a bit cheaper. One example is for my son’s birthday party coming up. I wanted vintage bowling shirts-way too expensive to buy! However I sew, so I bought fabric on sale and made them myself. To buy them would have been $40 each, I was able to make all three of them for under $20!! Big time savings! There are lots of online tutorials for making different party favors, party supplies and food items. Another item you can make yourself is the cake. There are so many super great youtube videos you can watch for instructions on how to make a variety of different kinds of cakes. Making the cake yourself will save you a significant amount of money. Store bought cakes cost quite a bit and are usually not nearly as good as homemade. 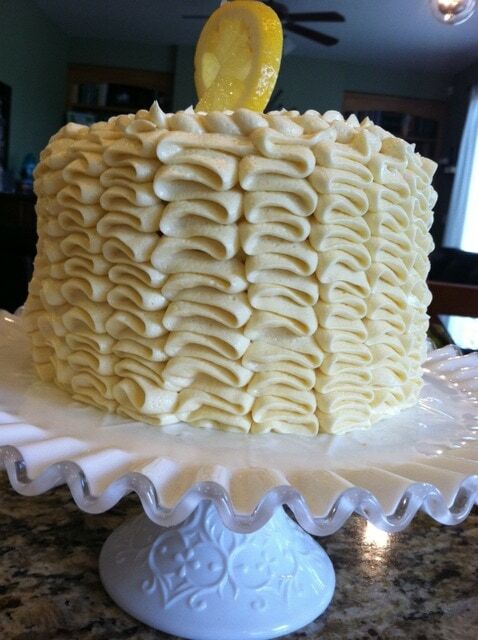 I have never had any type of cake decorating classes and my cakes are most definitely not professional quality, but by practice, watching online videos and just going for it – they have turned out pretty ok. And most of all, my boys and family members love having their cake made especially for them. They all plan it out months in advance!! JUST GO FOR IT!!!! 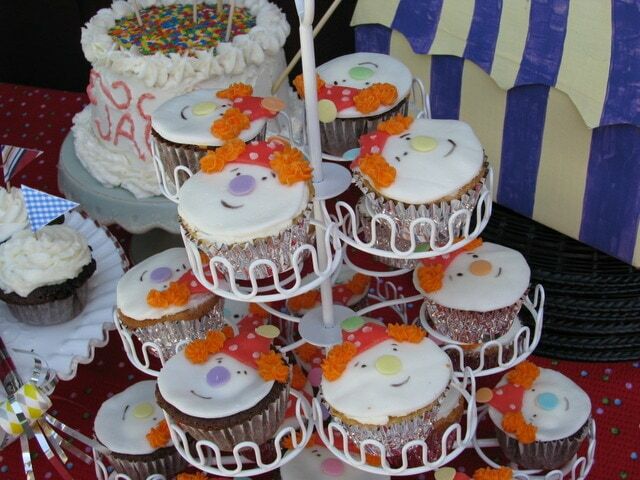 Cupcakes with cute cupcake toppers is another way to save money and still have a cute themed cake! 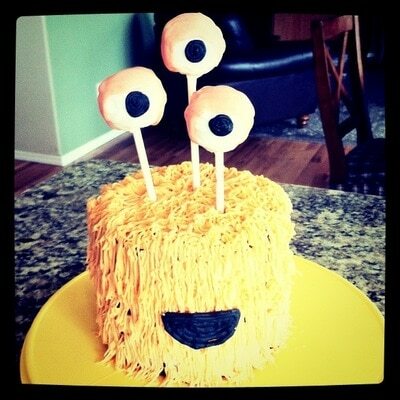 What are some fun DIY ideas you’ve made for parties? 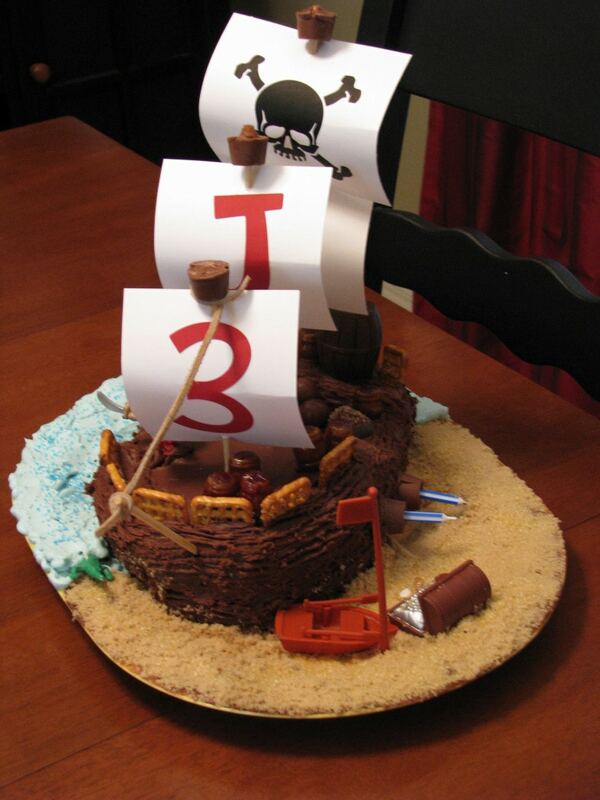 So fun, I am inspired to try my own cake for the next b-day party. Thanks for all the great ideas!